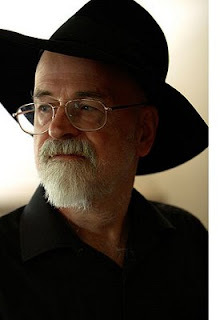 Critical psychiatry: Has Terry Prachett got dementia? Terry Pratchett: Living with Alzheimer's 4 & 11 February, BBC Two 9pm. Alzheimer's Disease Society discussion at Talking Point. If he hasn't this backs up the concern about encouraging people to come forward early by the National Dementia Strategy. Who's advising the Alzheimer's Disease Society?